After our first season using the wot-tac I have to say it turned out to be a very useful tool for us and well worth the investment. Thanks for coming up with a great design. Steve Norbury. Tactition on Quokka, Commodores Cup winner, National 12 Champion, Managing Director Selden Masts. Julian recorded the testimonial for the wot-tac after one of the races in the autumn series in Pwllheli. Read how helpful Julian has found the wot-tac to be when racing. Listen to the testimonial from Andrew Brook who sails regulary in a Cork 1720 in Pwllheli, north Wales. 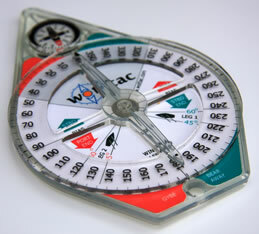 Andrew has used the wot-tac all over Europe and regularly when sailing in Pwlheli.